I really love using my EQ7 full program to design my quilts and different table runners and patterns. From designing these in EQ7 I am able to get exact measurements and know how much fabric I am going to need too. - This is what I had in EQ7 done up and this is the finished quilt…. All the girls stitched their blocks and Dawn put the quilt together and the pattern was written up from EQ7 and is now available to purchase thru Fresh Hope. But of course you know all this. A few other patterns that I have had published were designed in EQ7 and I really got to say ….I love this program!! My Around The Christmas Tree pattern was designed in EQ7 too…. and I find that when I need to work out borders and blocks I put the design into EQ7 and let it work it out for me. So much easier than trying to figure out the maths. Never was any good at that in school. Now if someone had said…..Vicki, you need to learn maths and geometry because later on you will need to use it for patchwork then I might have enjoyed doing it way back then in school. Would you like to have an EQ7 full program too? The Electric Quilt Company has so very generously given me an EQ7 program to give away. Wow!! How awesome is that? Valued at $189.95 US you just got to agree with me on that. Ok….here’s what you need to do to hopefully win your very own EQ7 program. This giveaway is open to all over the world. Each one of these gives you an entry to hopefully win…..
5 entries - Put my Giveaway button on your blog and let your readers know about my giveaway. Come back here and leave another comment on this blog post telling me you have done it. Use this button…. Just right click and save to your computer. So you have 5 chances of winning this fabulous program. So good luck everyone and I hope that you win it. Hi Vicki I would love to be in your give away But I dont know how to do all these things on the computer But good luck to whoever wins it Have A good Weekend. I've been wanting this program, but I'm currently on a spending freeze. I've beenplaying around with some small designs of my own, and this would save a lot of graph paper! And I'm terrible at guessing how much fabric I need to buy. thanks for the chance! ooooo me wants! I've been following you for ages Vicki. I have been looking at this program since it came out, I just couldn't justify getting it because of the cost. How can I argue with free? This would be so great. It always takes me so long to count all the details for a new quiltayout. And it would be so great to play with colours on the computer already!Thanks so much! And I am already a follower of your lovely blog! Count me in! I don't have EQ7 and I like techy stuff. This would be a fantastic prize to win...I currently use pen and paper with a calculator so this would be so good....I am a follower Vicki. Wow Vicki, I would just LOVE to win that one! Think of all the graph paper, maths headaches and mistakes I would save!!! Sounds wonderful. I would love having the EQ7! I love designing quilts! I am a follower too! Vicki it would be wonderful to be able to design my own beautiful quilts with the EQ7. Thank you for a chance to win one. I have been a follower for a long time and enjoy reading your posts. Hi Vicki, I would love one of those 'gadgets'. Having heard so much about them I can see just how often it would be oh so handy. I am a follower and have your Pickledish Patch button on my blog. I am back again from letting my blogging friends know about your offer, and putting up your button. Thank you for the opportunity to win EQ7!! I have recently finished my first quilt design and having EQ7 would have made it sooo much easier! Thanks so much for the lovely giveaway! I would love to win the EQ7 so that I could translate my thoughts and ideas to actual quilts. It would be so much fun to have! What a great offer. To experience EQ7 would be amazing. Designing is something I dabble in now with graph paper & pencil EQ7 would sure change that. I have been a follower since the days of Tozz's Corner. I am back after putting your giveaway button on my blog. ... and I am a follower, have been since Tozz's Corner days. I am presently doing a RR and this program would make life so much easier so I would be thrilled to pieces to win. Thanks for the chance . What a wonderful opportunity. I wouldn't mind winning because it's something I just can't afford! I do all my 'designing' the old fashioned way (I prefer to use the term "traditional") and have reams of graph paper scribbles. Some are in notebooks, some are still on the pad, others are under this pile, or tucked in that book!! OMG what a great program! I knew about the blocks layout, but I had not thought about stitchery blocks and settings for them, too!! !I would love this!!!! I would love this program, how much easier things would be. Wht a fun win...I am a follower....and I will post your button on my blog....thanks for this awesome opportunity. Wow! I would love to try EQ7 as I have so many designing ideas poppint into my head these days, and it just takes so stinkin' long to draw them all out by hand. And then you can't manipulate them. I currently have EQ5 and would so like to upgrade to EQ7 with all of its advances. Thanks for the opportunity to enter your great giveaway! I'm a little sad right now as I cannot stitch, due to a thumb injury.. I just need to create somehow. This would let me still create, even if it were to create patterns for future use. I would love this program because I have all kinds of ideas popping into my head but have no idea how to go about making them a reality. I just posted about the giveaway on FB. I have your blog button and link in my 'Quilting and Stitching Links' tab. I have posted about your giveaway and also put your button at the top of my left sidebar. Thank you for the five chances to win this wonderful giveaway! Oh I would love this - my math leaves a lot to be desired, I missed a lot of school as a kid [hospital visits] and never really learned it - I've dreamed of getting EQ! Especially since I'm designing quilts now...Your around the christmas tree quilt is GORGEOUS! And I have your button on my blog, have had since you got it! I have used previous versions of EQ and find it to be a wonderful program! Would love a chance to win this! I am a follower of your blog through my google reader, can send screen shot if needed! I have posted about this giveaway on my Facebook account...would really love to win! I have posted the photo with a link back to you and posted a message on my blog! thanks for a fantastic give-away! I am a follower since , I don't know. I have you in my favourite Link-List, but I am not with facebook and don' t want to either. I just would love to win the EQ 7, because it' s so much fun to design your own patterns and see how it looks like later done in real, istn't it? I would love to get my hands on EQ as I am still working old style and planning all my quilts using graph paper and pencil - it works but is slow and isn't easy to change or experiment with colour. Thank you. I also follow you using Google Readers. I would love to win this program. I've been designing on graph paper for a while now. I always struggle with fabric requirements. This would help me so much! Thanks for the chance to win!!! I would love the chance to win the EQ 7 then I could really have fun designing lots of things. I'd love to win a copy of EQ7. It would be great to start designing and have a picture to see what it would look like. I would love to win. It would give me the chance to play around with colours and patterns while taking away the fear and guesswork. I would love to learn how to design my own quilts. I have tried with graph paper but am too impatient. I would love to have my own EQ7 program! I always change patterns and then I get to the borders and don't know how to add a beautiful pieced border. I bet EQ7 would help me figure it out! And I would love to try my hand at designing blocks. Oooh, and it can help me decide on fabric! My fabric choices are alwasy questionable. I would play with EQ7 everyday! I`d like to have one EQ and try designs quilts. I would love to win the EQ7 so I could design my own pattens for quilts and things. Your store link is already on my blog. Posting about your giveaway on facebook with the addy. I like designing my own quilts on the computer and would love to use a program specifically for that. I'm a "visual" learner, so having this would let me actually see what the fabric and colors I'm considering would look like wih the pattern I'm choosing. What a treat THAT would be! I'd LOVE to win this. Thanks!! I have a link to The Pickledish Patch on my blog. I have blogged about your giveaway and added the button. I would love to win a copy of EQ7as I have a lot of trouble picking colours and design layouts. I thing this would be very helpful. I agree with you -This is AWESOME. I would love to have EQ7 as I love designing quilts. I know that this version has so many features that make designing a breeze. I am following for a second chance to win this Awesome Prize - the EQ7 program! I would love to win an EQ7 program, because I just can't bring myself to paying for one. Thank you for the giveaway! I would really like to win an EQ7 program! First of all I would not have to wrack my brain about math anymor, sometimes it just wants to make me scream! Also I would be able to attempt things with designing my own quilts that I am unable to do at the present time. So count me in and thanks for taking you time to do this for all of us. I would love to win the software. I have seen it used at my LQS and thought it would be fabulous for designing quilts. I've just signed up as your newest follower. Why I want to win this program? It's awesome! Yes, designing quilts on graph paper, doing the math, etc, is do-able.... but I designing and changing colors around? Printouts? Yardage? Awesome! Can't join again, becasue I've been following you ever since I discovered blogging! I would love to have EQ7 to design my own quilts. Thank you for the chance in your giveaway! I put up a link to your The Pickledish Patch store on my blog. I'm a new follower, what a awesome giveaway, thanks! EQ7 would be fun to use to design quilts, thanks for the giveaway! I enjoy using software to accomplish my tasks and would like to design more readily than pencil/paper take me. This would be especially helpful for resizing blocks and using colors to give me an improved sense of how my quilt will look. Plus, having a forecast of fabric requirements, applique / foundation shapes -- oh, I would be in hog heaven! Thanks for the chance to win EQ7 - couldn't afford it otherwise. I would like to win an EQ7 because I am aweful at putting colors together. This would really help me see how the finished product would look. Thanks or the giveaway! I put The Pickle Dish Store button on my blog! I'd love to win this software! I spend so much time sketching and scribbling on graph paper - this would be so much quicker for designing quilts and figuring out fabric requirements. I would love to win your giveaway. I dont have the best imagination so I'm always having to draw out what I "imagine" a layout of a quilt would look like. This software would make that so much easier. I am now a follower of your blog. I think. The sign-up to be a follow is different from any other "follow me" I've done so I'm not sure. I'd love to win this software to help design quilts - would be so much fun to play with. I need it because I have real trouble visualizing how things are going to look and don't like to end up hating a quilt! I'm trying to win it for my friend Carol C.
I would love to win this so I can create my own designs or variations of others. I use good old graph paper and usually calculate something wrong. Thanks for sharing! 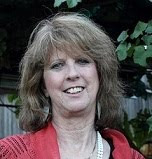 I am just dying to try this program out - everyone in blogland seems to be raving about it! Hello, I would use the EQ7 to design my quilts and other patchwork stuff. I love to have the EQ7. I am your a follower too. I have put your shop button on my blog .. I have put your button of Giveaway EQ7 on my blog. I shared your Facebook page! It's great to have so many opportunities! Thanks! I have heard about EQ program for such a long time but I've never been able to experience it so I would love to try it. With limited time for sewing, I am sure it would be a very valuable tool rather than calculating on pieces in paper. I liked maths at school but I am rusty now! I am a follower of your blog and have been for a very long while. I have your blog on my blog roll as well. 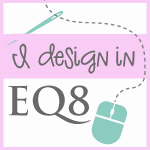 I have just stumbled onto your blog, and would love to win the EQ programme to help organise all the ideas floating around my head! I am just at the point in my quilting journey where I find myself wanting to make a change to a design. I'd love to give EQ7 a try. Thanks so much for hosting this giveaway! I am a new follower of your blog! Thanks! EQ7 would sure help me decide how to put certain fabrics together and how much I need to buy. would love a chance to win a copy....perhaps with all that technology i could start designing some beauties to share!!!! ...and I'm a follower too!!!! You're button's featured on my blog as well!..top right! hope you like! will blog about it later and get back to you! just blogged about the giveaway....didn't really want to cause I wanna win!!! tee hee. But, anything to support a fellow blogger and friend!!!! I have been trying to be a quilter for years, & have been collecting all the supplies needed for a long time too. I am currently on a spending freeze myself, but If I win, this will help me out greatly, & save me time to create,as I am math challenged. Thanks for the opportunity to win! your link posted on my blog about the giveaway! button added top left margin! shared on my FB Fan Page...Yay!!! Having EQ7 do all the math would be amazing. Thank you so much for the opportunity. I have put your giveaway button up on my blog. Hi Vicki, I just have to be in this, so I can have my very own EQ7. Thanks for the give away. I have been a follower for a very long time. Hugs. I have blogged about this give away as well. Being able to work up instructions for designs and look at color options would be awesome for teaching. I'd love to have this program. Thanks. Besides having so much fun with it, the EQ7 would help me decide on colours. Takes me forever to choose fabrics. I enjoy looking at quilts that people dsign in EQ7 and would love to play with one too! I just blogged about your giveaway and posted your button. Thanks for the extra chance to win. I'm now a follower of your blog, and would still love to win this! This is my first entry, and would like to say that I'd love to have this program because it would help me figure out what fabric amounts I need. The first quilt I made for my mother for her birthday, I ended up getting WAY to much fabric for the quilt and ended up with 2 yards of fabric of each print left over. Let's just say that I didn't want too much left over but didn't mind either. This program would help me tremendously!!! I'm following you, and I'm glad to because I noticed you have some great tutorials and freebies too! Thanks!! I notified my friends on my facebook about EQ7 and this contest, not sure they'd know what EQ7 was but hey some may!! Added your button my blog!